Parents often want an extra Activity Book for other children in the family. This fun-filled Activity Book reinforces the multiplication and division stories, through writing, coloring and fact family review. Children write the story in their own words, which not only helps with math memorization, but provides a writing experience, as well. Coloring the lively pictures and writing the fact families, solidifies the learning experience. Also included, are Assessment Tests to monitor the student’s progress. Please note, none of the multiplication stories are listed in this book. 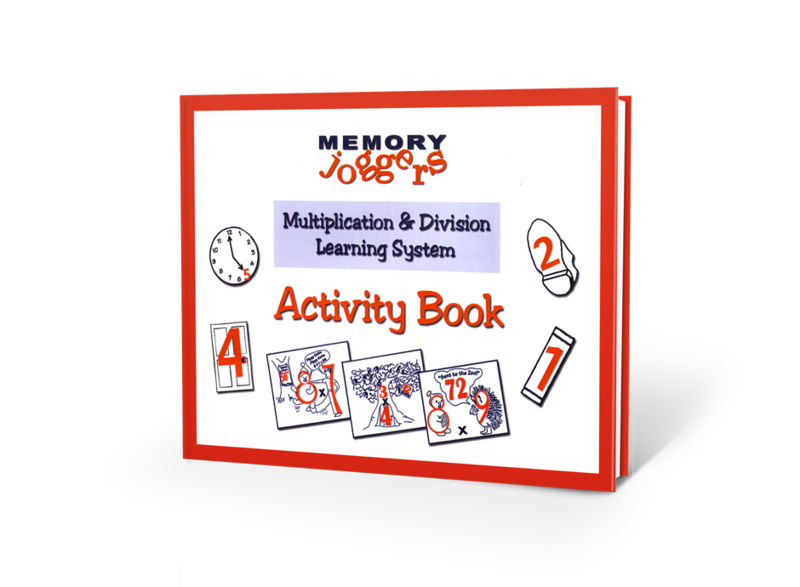 For the stories, it is necessary to purchase the Multiplication & Division Story Cards. Alternatively, the Activity Book AND Story Cards for 0-9 AND 10, 11, 12’s, are ALL included in the Super Achiever System, the Multiply & Divide Deluxe Edition & the Multiply & Divide Basic Edition packages.